Beers Cheaper Than a Bottle of Water in Boston! 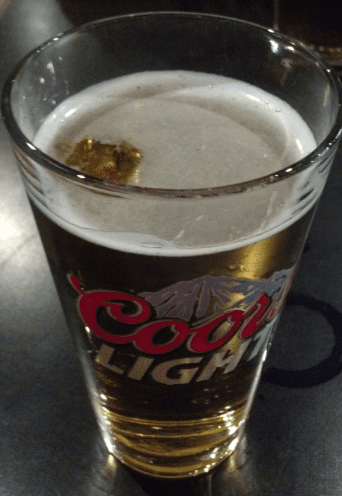 Don’t worry, the An Tain does top off their $1 Coors Light– I just had a few sips first… Mmm. EDIT: Make sure you bring cash with you as many of these bars have credit card minimums if you plan to have a drink or two. All these deals were “researched” by me first to ensure accuracy of this list. I didn’t order from Sissy K’s or Wild Rover during “my research” but they had signs outside, and have had success previously, so you should be fine. I did go on the earlier side during my “research”. I know a few of these places tend to get packed on busy nights and sometimes charge a cover the later you go. Also, sometimes the cheap beverage deals “will run out”, so keep that in mind. If you want to take advantage, make sure you go on the early side. What is your favorite cheap drinking spot? What did I miss? It would be great if there was a list like this for craft beer!